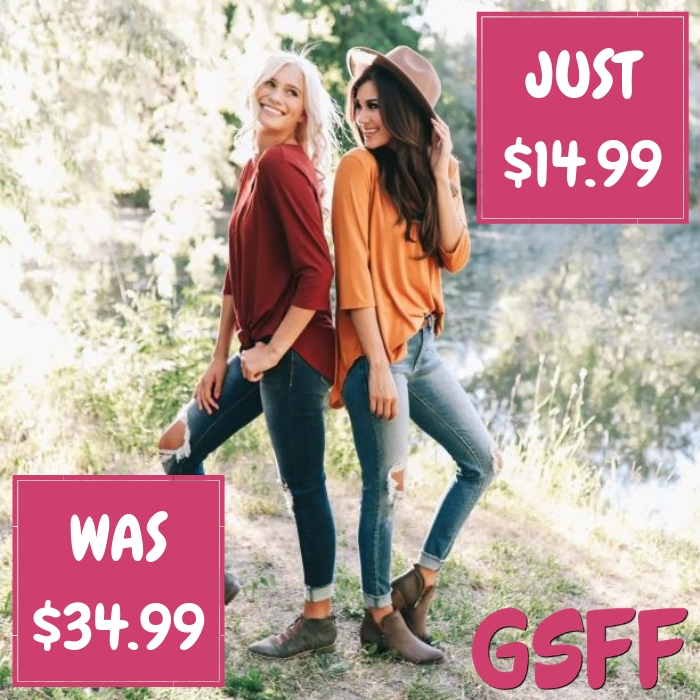 Sleeve Henley Just $14.99! Down From $35! FREE Shipping! You are here: Home / Great Deals / Sleeve Henley Just $14.99! Down From $35! FREE Shipping! Through February 11, Jane is offering this 3/4 Sleeve Henley for just $14.99 down from $34.99 PLUS FREE shipping! Take it back to the basics with this new 3/4 Sleeve Henley! This top is simple yet, classic with its button down detail on the bust, 3/4 sleeves, curved hem, and long loose fit, what’s not to love?! Rock this Henley with your favorite pair of jeans or leggings for a classic outfit!